Sean did an excellent job for us. He is very professional and explained what he was doing. We would be happy to see him again. **** from Bragg Plumbing came out to install a customer supplied toilet. Initially he and his manager ****, talked me out of using that particular model stating in would be a very pricey install and due to the nature of the equipment, might be damaged if we needed to snake it down the road. Offered an alternative and I picked it up the next day. **** came back out and installed it very quickly, cleanly and efficiently. He was great to work with and I asked him about another job. He set me up with an estimate and a date right on the spot. Very pleased with the service. I sent some version of this already. Didn't you get it? Sean was the best. Knew what he was doing. Fixed the problem promptly. A friendly, good natured person. I'd be back to him in a flash. I worked with Sean and Lloyd to install an all new heater. They were very polite, efficient, clean and on time. They made sure I was aware of what was occurring at all times and the response time from having a failing, 45 year old heater and installing a new one in the middle of winter was 3 days and 2 of the days were the weekend. Job Well Done....... 5 Stars ++ rating. Excellent technology for quick and good cleaning of air ducts. Trained efficient guys. Todd responded to our house in Novato to fix our old outdated heater. He found it should be replaced and gave us a quote immediately. I called him one month later wanting to replace our heater with a 95% one. He completed the job within one week, was friendly, efficient, responsive and explained all details. Bragg plumbing is highly recommended. Excellent professional service. Also, very helpful advice. I needed service quickly and Bragg was able to get someone to me within an hour. The technician (Sean I think his name was) was knowledgeable, courteous and very professional. He solved/fixed the problem quickly and did a few other things that I hadn't thought about related to the furnace issue I had called about. Great service! **** and **** installed two new furnaces at our home. They were efficient and courteous. Work was begun and finished in the predicted time. Our continued use of the services of Bragg Plumbing and Heating has been very satisfying. Projects such as the one described here are never inexpensive, but we believe the price was fair. I don't like writing bad reviews but I feel like I should given the circumstances. I had a water heater installed by this company, and less than a month later it comes to my attention that water is leaking from the water heater closet. The Plumber who did the installation comes back and tells me that the problem isn't the water heater (and therefore not covered in the warranty), the leak is from the pipe behind it, and it will be a major job to fix which will take 2 plumbers, involve going under the house, and cost more than the initial water-heater installation. I had a different plumbing company come by and do the job (for much less expensive) and it turned out to, in fact, be a quick job (less than 2 hours and did not require going under the house), and after looking at where the leak was, the plumber told me that he believes the person who installed the water heater (Bragg plumbing) had inadvertently pinched the water supply line when installing the water heater, causing the leak in the first place. So basically: Expensive water heater installation that created a separate issue that Bragg Plumbing wanted more money to come fix. 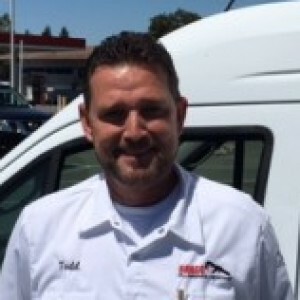 Todd was very professional and did an outstanding job. Great service. Gets the job done. Personable and very friendly. Brooke A. GREAT service really nice to work with Bragg Plumbing very professional. 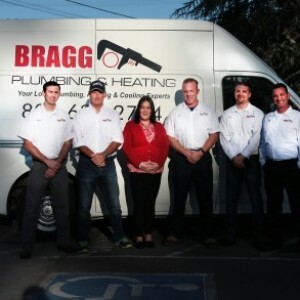 Bragg Plumbing has always been a great company to deal with..always efficient and the nicest employees. Cannot say anything but good about this company and we have dealt with them for years, never disappointed. Sean was prompt, knew his work, found another problem we had not noticed, and fixed it at no extra cost.. Could not have had better service. Service was excellent, repairs done in record time and correctly completed. 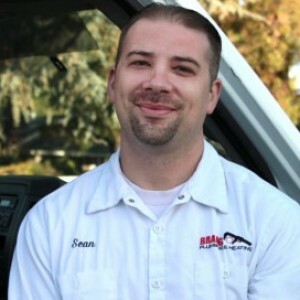 Sean knows his plumbing and works quickly and efficiently. 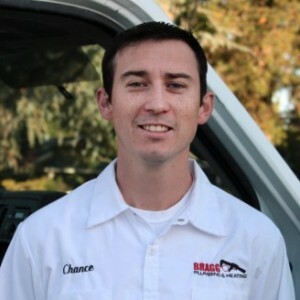 Bragg Plumbing is a reputable company. Good job!